You’ve heard the term “insured”, but did you know it’s possible that you could be underinsured? 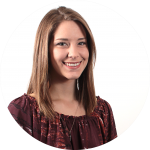 Have you ever been asked if you’d like to add underinsured motorist coverage to your policy, and declined because it made the policy more expensive? Maybe you don’t quite understand what an “underinsured motorist” is. The most general definition of underinsured is: “not having adequate insurance coverage.” A scary truth for you is that even though someone is insured, he/she may not have enough coverage to cover all the expenses that result from an accident. If the at-fault driver is underinsured, their liability limits do not cover the full extent of the expenses for the damages caused by the accident. If the other driver is underinsured, it can create an issue for you while getting the medical/damage expenses paid. When the policy limits have been maxed out, it is now the responsibility of the policy holder to pay the remaining expenses–which can be quite expensive, putting the policy holder’s assets at risk. 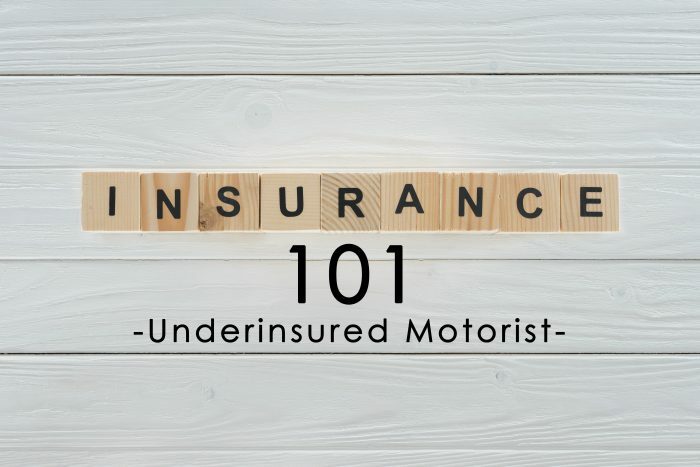 In summary, underinsured motorist coverage provides that extra cushion you need to ensure your expenses are covered when in an accident with an underinsured motorist. You can read more about this here. So, what kinds of things make the expenses of the accident exceed the coverage limits? For example, the accident caused by the underinsured motorist could cause very serious injuries to the passenger, OR passengers, of the other car involved. If there are serious injuries to multiple people, the medical expenses could rapidly exceed the policy limits. In addition, the passengers suffering serious injuries could be forced to take a medical leave from work after having lost the ability to perform the job. When an underinsured motorist is responsible for this, they are now held liable for the salary lost while off the job. If the car is valuable, and is totaled in the accident, the replacement costs could exceed the property damage limits. If you add up all of these expenses, the cost to the underinsured motorist could be outrageous. The point of paying for the additional limits on your policy is to prevent out-of-pocket expenses. Because the at-fault driver does not have sufficient coverage, your own insurance company will pay you up to the limit of your own coverage. Basically, in the event of the accident, your insurance company will provide the coverage that the at-fault driver’s insurance company will not. The dangers of getting into an accident with an underinsured motorist can be avoided by informing people of the risks.